Their solution was Vetsec, an outsourced telephone answering and secretarial support service dedicated to the sector, which works alongside your existing veterinary reception team. But how can a call answering service make a positive impact on the level of customer service delivered face to face? Tracy Lee, the Practice Manager, talks about the effect Vetsec has made on the business. 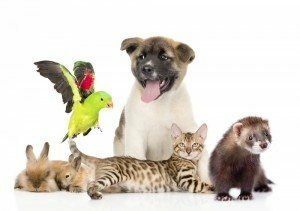 Oval Pet Centre is a family run veterinary practice originally established in Sidcup in 2002 and is now home to six vets operating from three centres in Sidcup, Welling and Eltham. The practice has been working with Vetsec’s Virtual Veterinary Receptionists for almost two years. The front of house staff are now free to focus 100% on dealing with clients at the desk, but how did they feel about working alongside an outsourced service? “As always with something new there were slight teething problems, but nothing that wasn’t easily overcome. We made sure there was open communication with the Vetsec team.